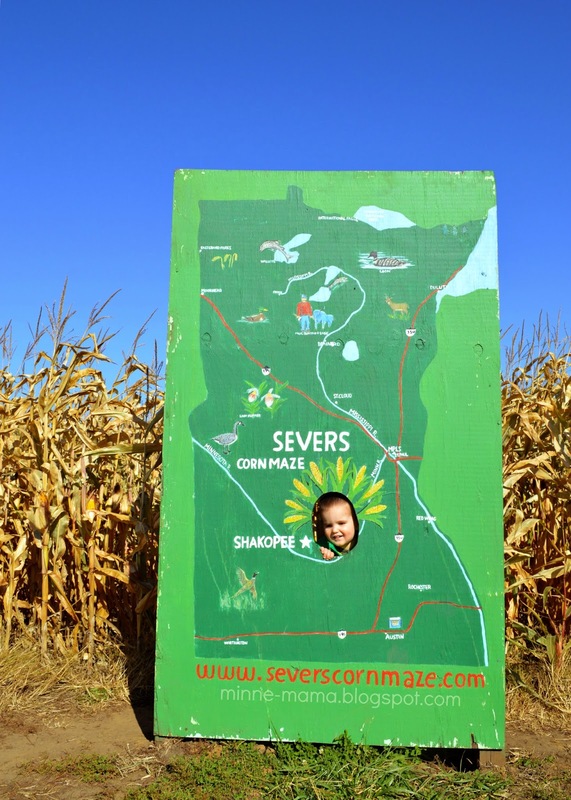 We enjoyed a very full and fun family weekend starting off Saturday morning with this trip to Sever's Corn Maze. 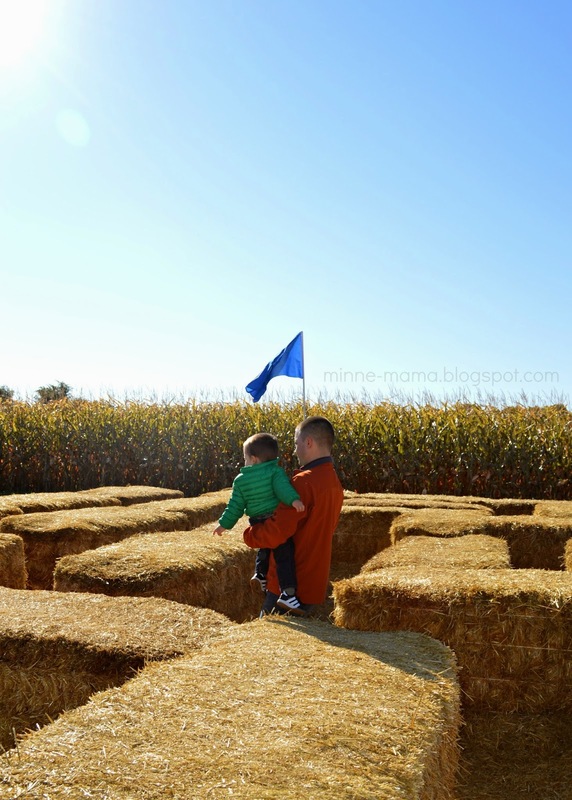 While we didn't actually do the corn maze, there were so many amazing activities at this spot - I can't believe it was a first time for all of us! 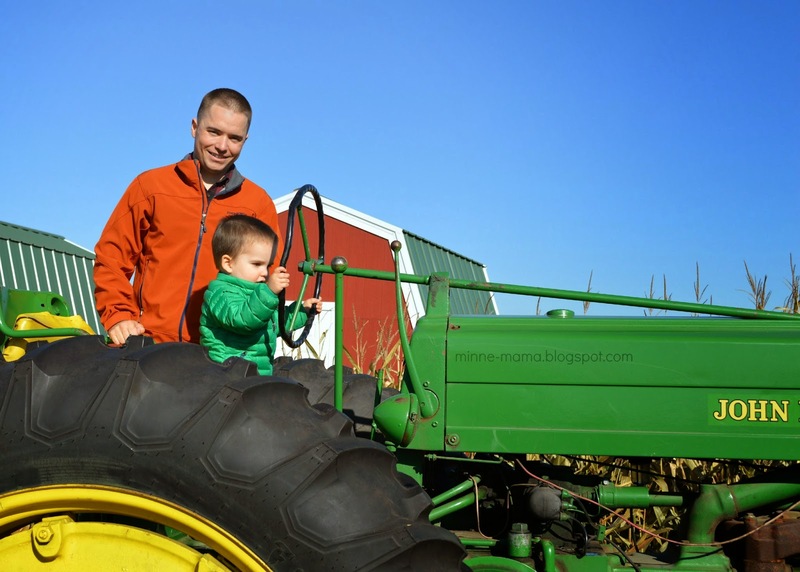 Growing up in our hometown, my husband and I have gone to many local pumpkin patches and apple orchards, but not this nearby gem. We cannot wait to go back next year! Here are some of my favorite pictures from the morning. 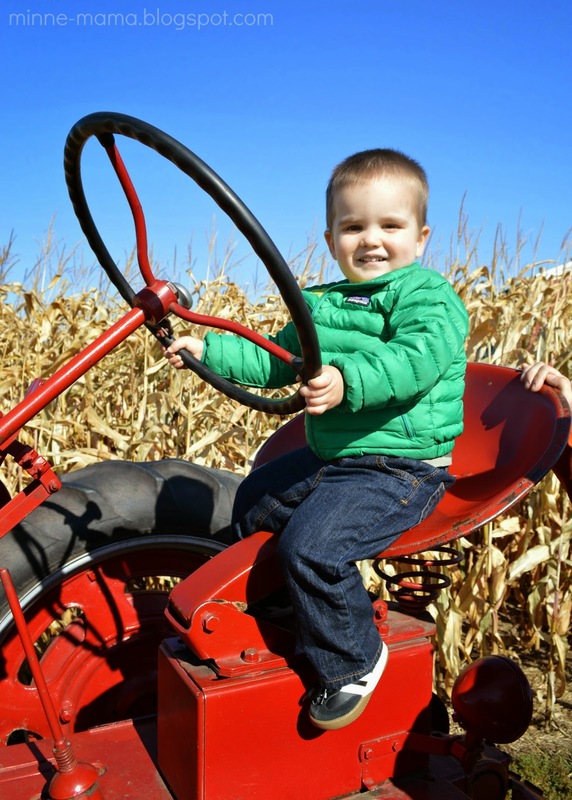 Vintage tractors were all over at the corn maze, and Skyler had to drive each one at least once! 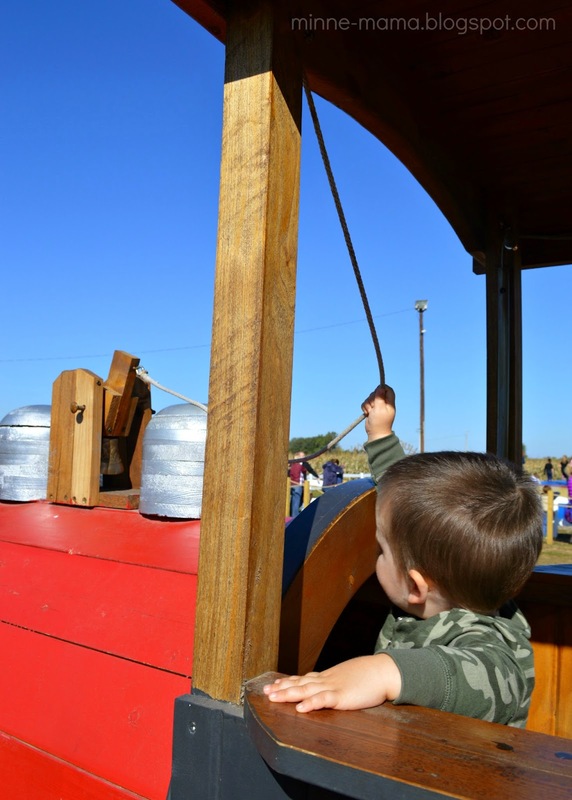 A vintage fire truck was open for children to explore as well! 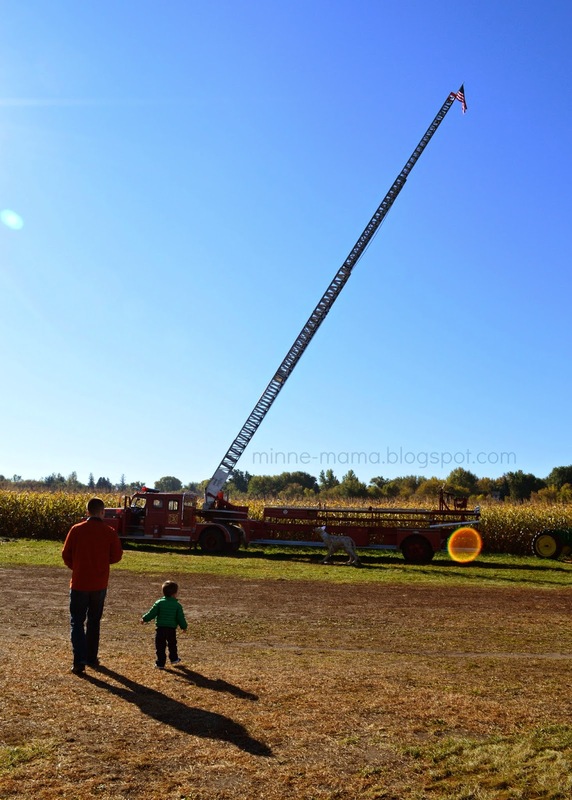 We made a few stops and Skyler loved standing inside and looking up the ladder. 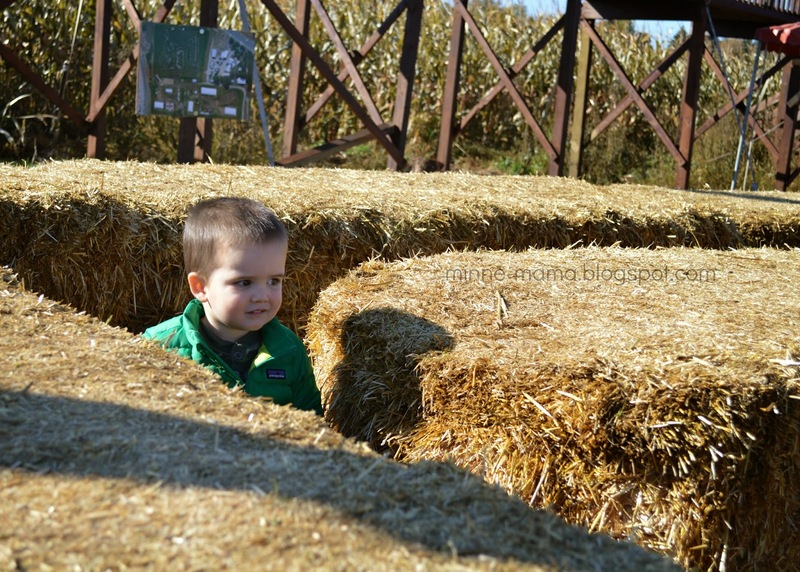 Even though we didn't do the corn maze, we did try out the much smaller hay maze which was perfect for a toddler! 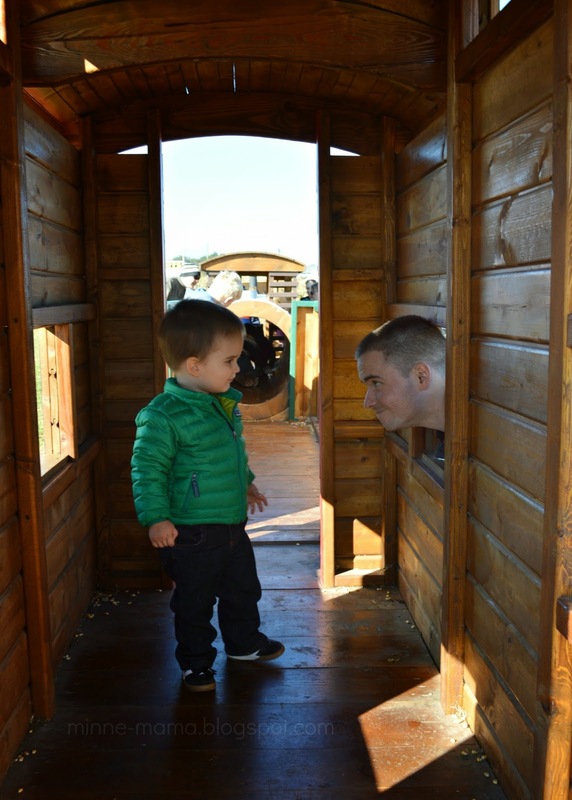 The little wooden train was one of Skyler's favorite parts of our trip. 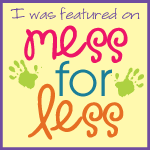 There were several tunnels to crawl through, windows for peek-a-boo, and a great bell to ring. My favorite was the corn pit. It was surprisingly hard to move around in the deep corn (especially at 30+ weeks pregnant!) and the corn was really cold. 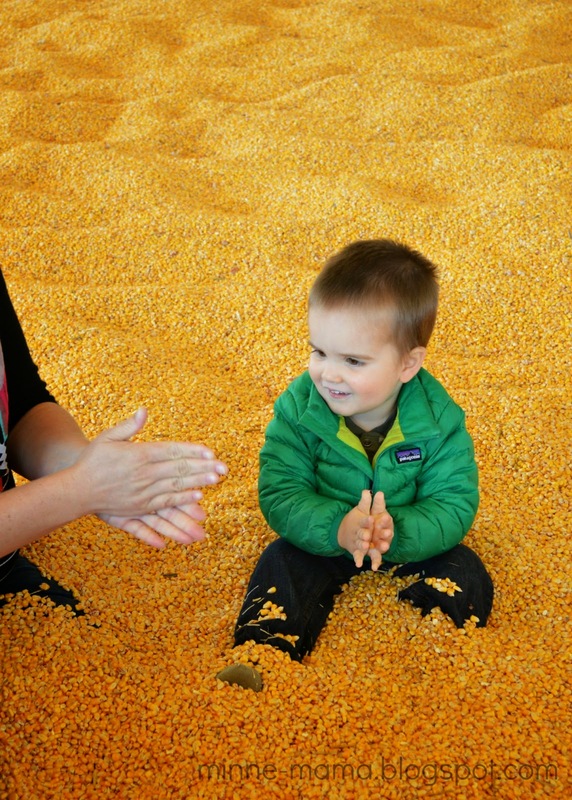 We had so much fun running it through our fingers, listening to the corn rain down, and walking as fast as we could before falling down. Of course there were several round of leg burying with the corn, which I found so much more enjoyable than being covered with sand! 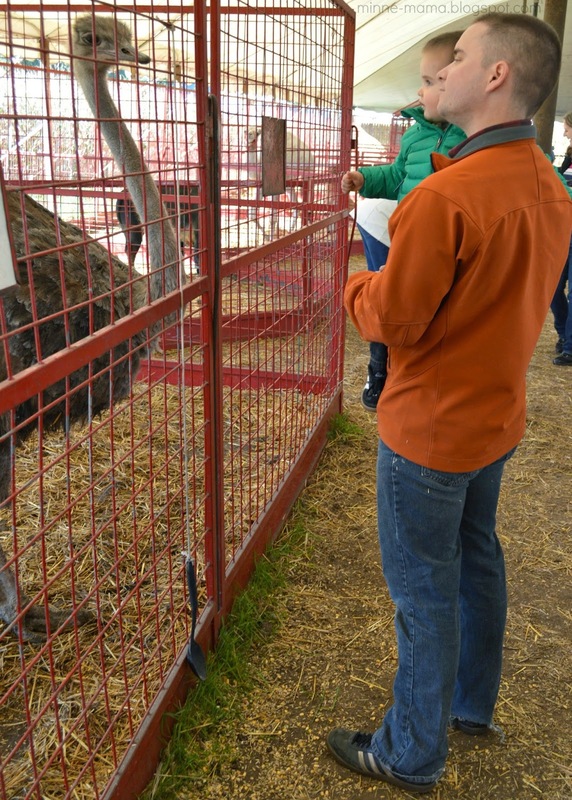 The animals (kangaroos, lemurs, capybaras, and ostriches among the most interesting) and a ton of wooden signs with face cut-outs were other favorites for this little guy! 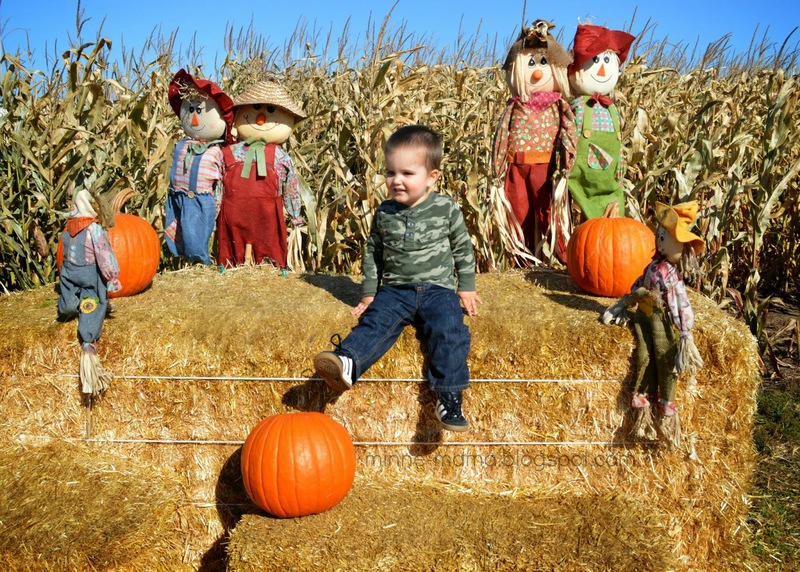 The purpose of our trip was to pick out some pumpkins to decorate, so we couldn't forget to stop at the pumpkin patch on our way out. After the longest nap ever (Thank you, Sever's!) we spent the afternoon decorating Skyler's three pumpkins. 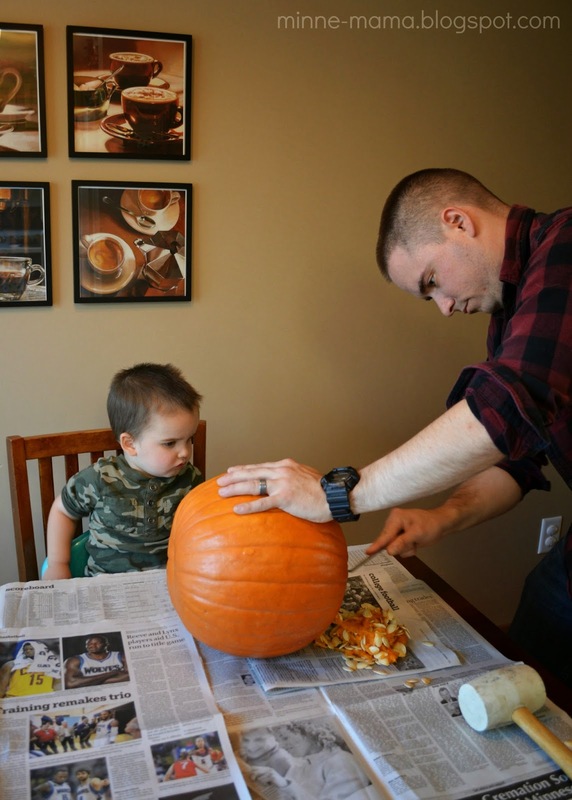 Skyler had a blast decorating his pumpkins almost entirely on his own! 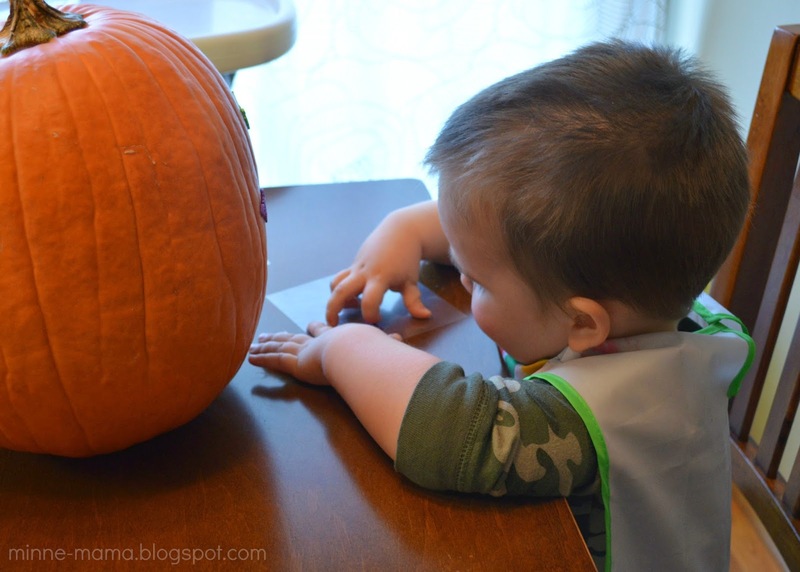 We started off by opening up one of the pumpkins to have a little sensory play. 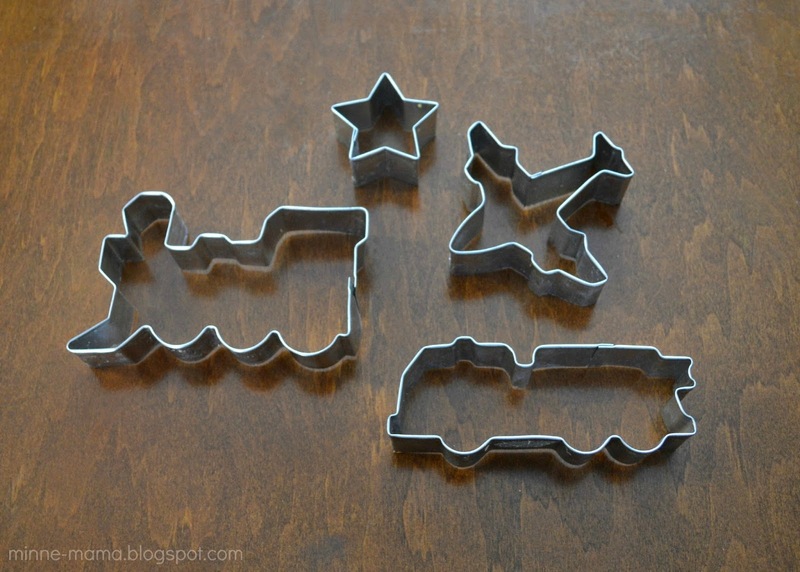 I knew I wanted to have Skyler try the cookie cutter and rubber mallet method, so I went in search of cookie cutters that he would love and ended up with an assortment of vehicles. 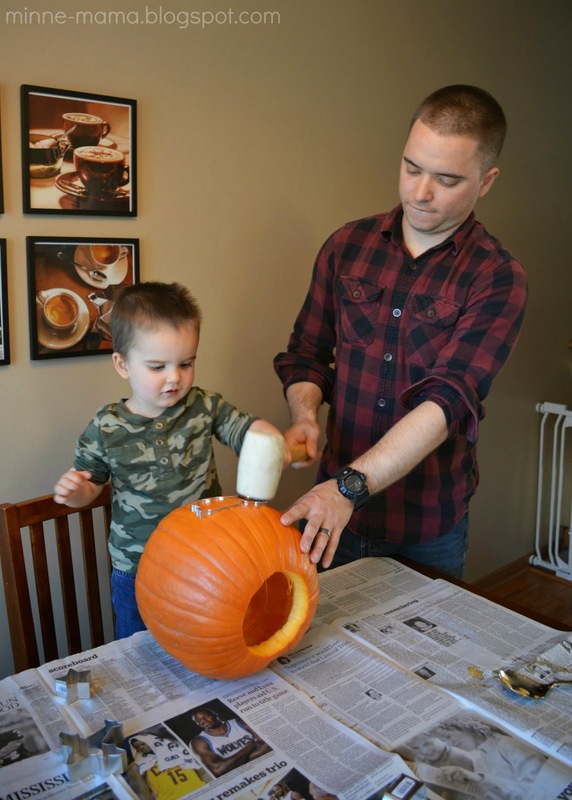 He was so excited to get started with this pumpkin! 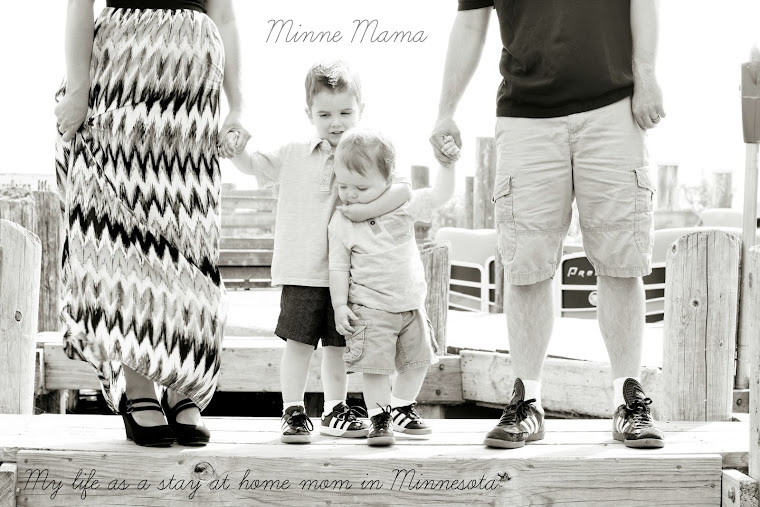 This was so much fun to do and Skyler loved it! I thought we would be able to fit more cutouts, but we ended up with one of each before Skyler started to lose interest. 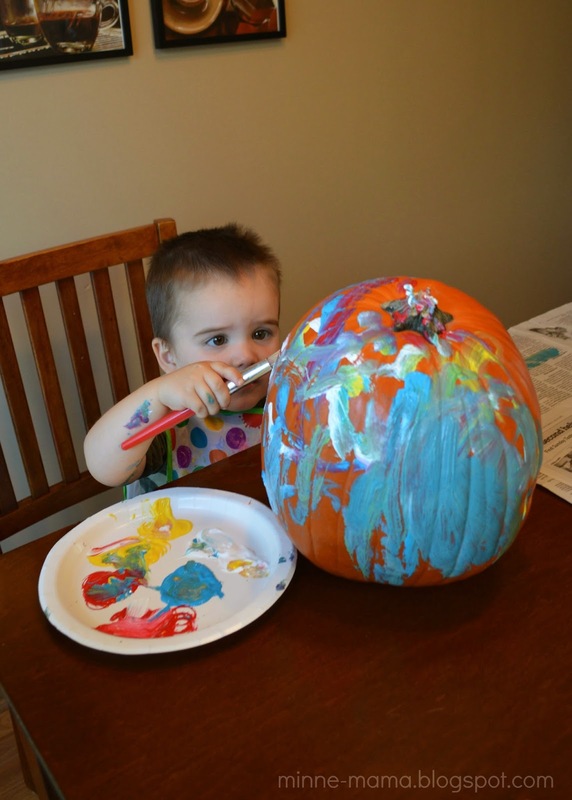 Up next we did a simple painted pumpkin which was Skyler's favorite to do! 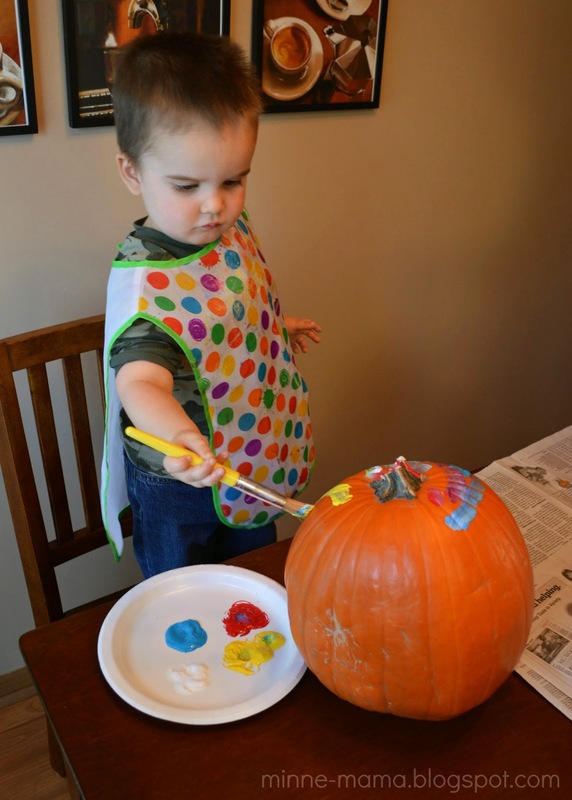 Last year for his pumpkin we did finger paints (with a tape resist S) that he covered with stickers once dry. 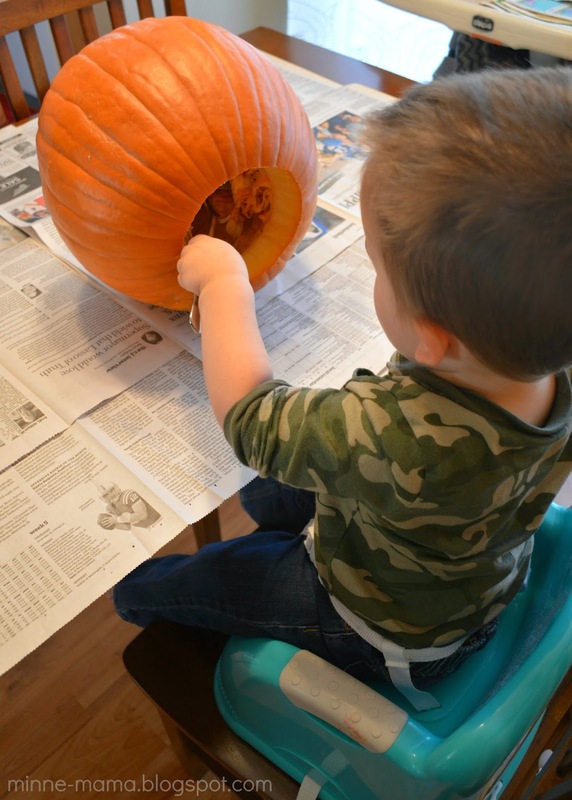 Whether it was the age difference, or using the brush instead of his fingers, he had so much more fun decorating with these methods this year! 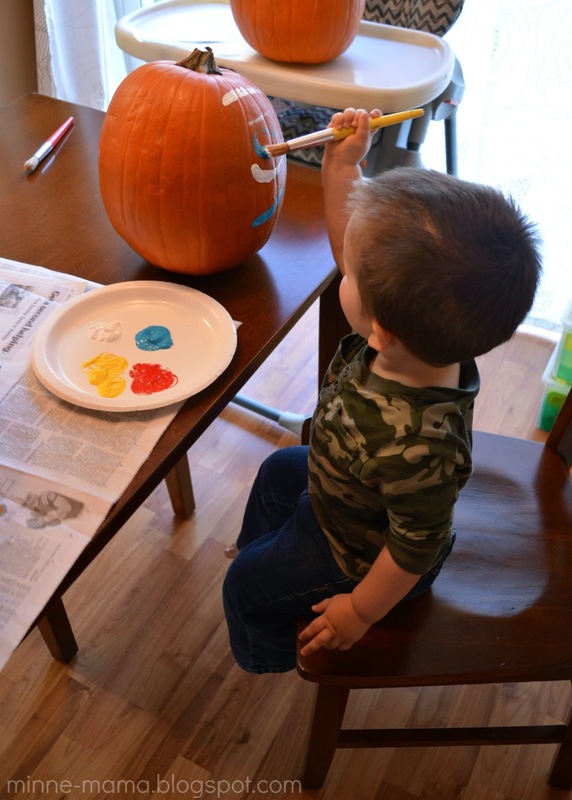 He sat and carefully painted his pumpkin until every side was filled, politely asking for more paint whenever he ran out. 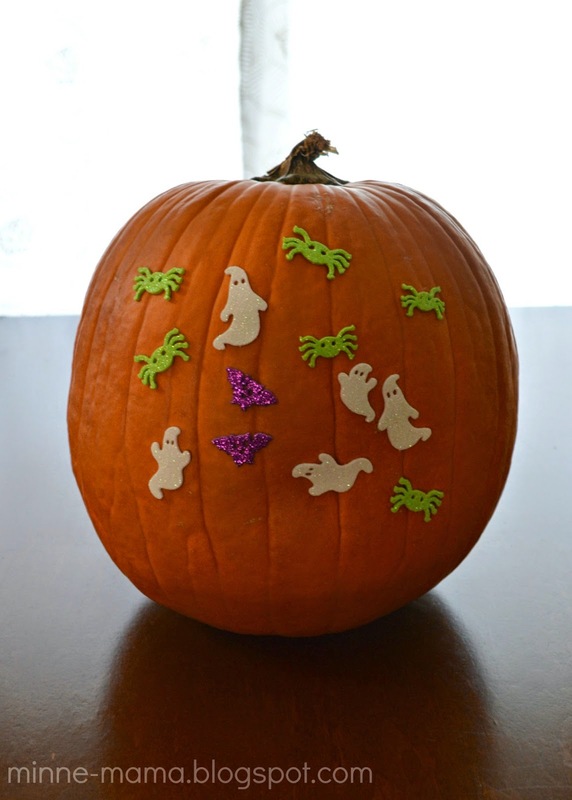 Similar to last year, we did a simple sticker pumpkin for the third and final decoration. These were actually the leftover stickers from last year. Again, this was a completely independent pumpkin for Skyler to decorate since he can easily remove the foam stickers from the backing. He did this pumpkin very quickly. Skyler's foam sticker decorated pumpkin turned out so fun and glittery. I was kind of surprised all of his stickers stayed on one side! The cut out pumpkin turned out pretty cute, but I am excited to see it lit up when it gets dark out! We haven't had a chance to try it out the past two nights, but Skyler will be so excited to see the glowing vehicles tomorrow night! 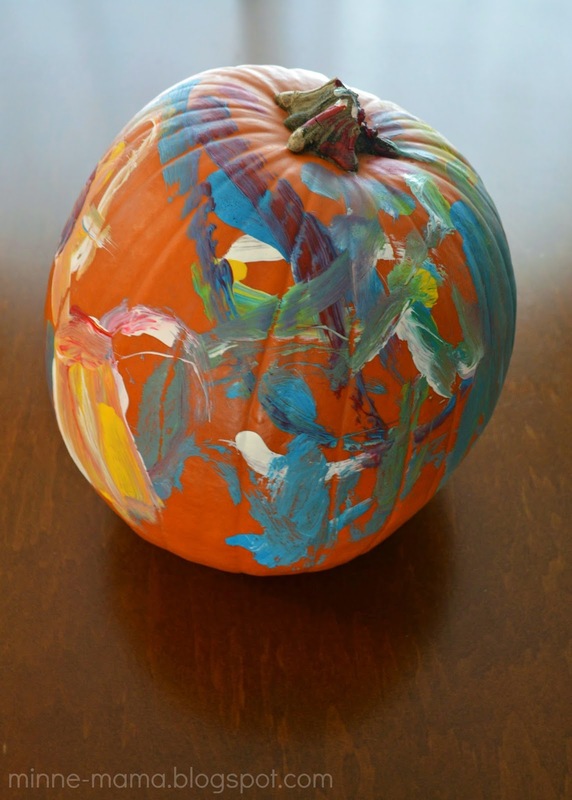 Skyler's beautifully painted pumpkin is my favorite one. He worked so hard on it and I think it turned out so cute! We have an owl shaped pumpkin holder that I am excited to put out on our front step to hold this pumpkin. 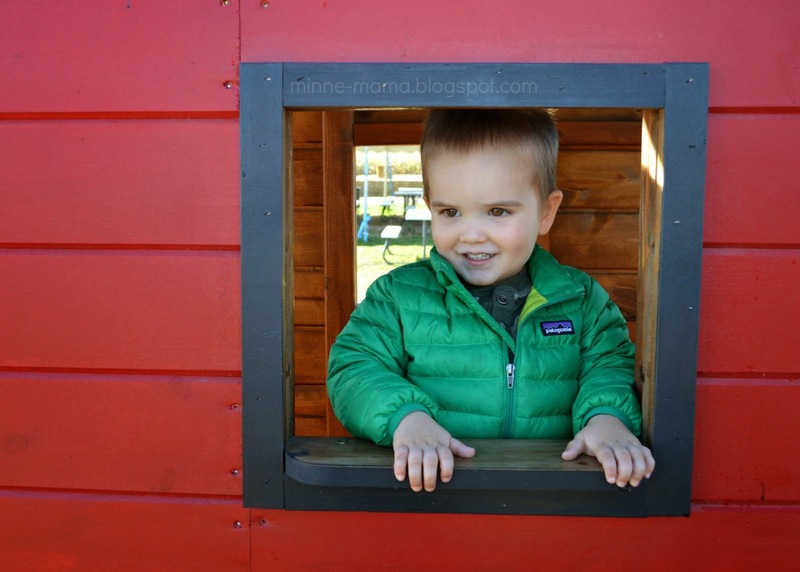 These three simple decorating techniques were great for a very independent toddler! 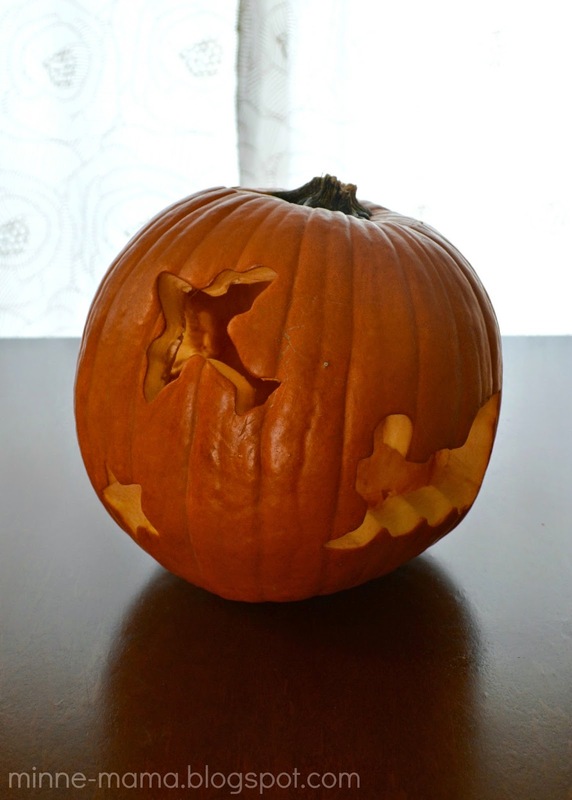 Each one was a lot of fun on its own, and you definitely do not need three pumpkins to do all of these. Last year we had fun painting and (once dry) placing stickers on one pumpkin. 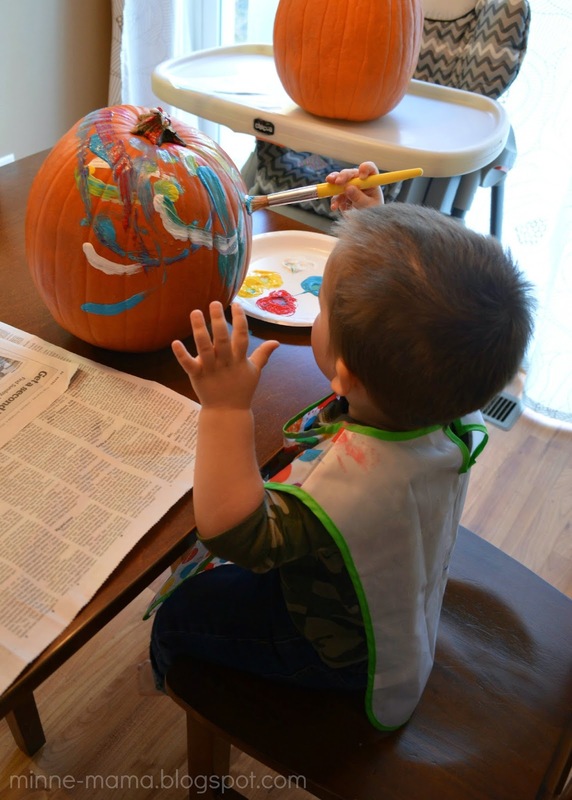 Painting and cookie cutouts would be another easy one to combine on one pumpkin.